This upscale single family home features two bedrooms and two bathrooms and is situated on a .18 acre lot. The home encompasses over 2,000 square feet, making it very spacious for only two bedrooms. Though it was built in 1995, a recent remodel in 2010 has left the house in excellent condition. The spacious interior of this beautiful home includes hickory flooring, window treatments and a total of five rooms. Many of the rooms include ceiling fans and the living quarters have heating and cooling. The living room’s showpiece is the stone fire place, offering a luxurious place to relax. The wood floors and built-in shelves give the room a polished look. The measurements for this room are 16 by 22 feet. The kitchen offers an amazing assortment of GE appliances: dishwasher, garbage disposal and refrigerator. The 14 by 10 foot room is sunny and spacious, featuring several windows. The stove, oven and built-in microwave are wonderful accessories. 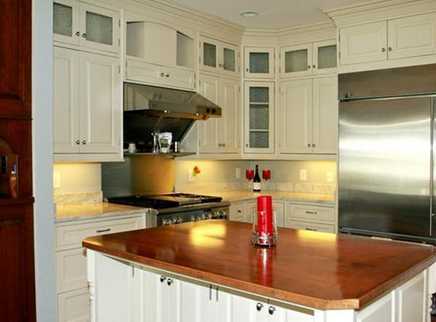 The island offers additional counter space and recessed lighting is helpful, making this kitchen a chef’s dream. The home’s two bedrooms include measurements of 18 by 12 feet and 19 by 14 feet. Both bedrooms offer spectacular windows and large areas, providing a great opportunity to try a custom look. The dining room measures 10 by 12 feet, offering a formal style. Built-in shelves around the room give it a sense of completeness. The beautiful paint job and two large windows are quite welcoming. Both bathrooms offer beautiful beige wall and floor tiles with spacious showers. The master bathroom features gorgeous light fixtures and a luxurious tub. Built-in shelves and accessories make the bathroom truly feel like home. The laundry room also offers built-in cabinets and access to the attic. The exterior of the house is made up of red bricks. A large front porch includes several white columns, giving the house a transitional style. The home’s back porch overlooks the lake, which is practically in the back yard. A large piece of grass makes up the yard, allowing easy lake access. The garage is attached to the house and offers two spots. Additional storage is offered in the attic crawl space. The pull-down stairs are located in the laundry room. 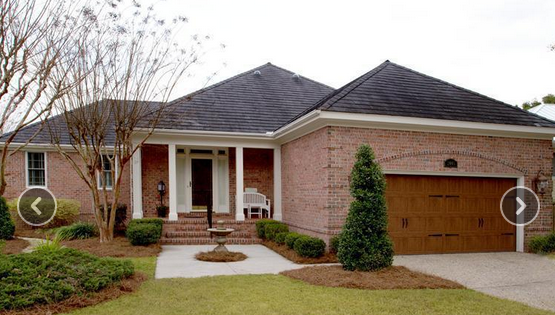 This beautiful home is located at the end of a cul-de-sac in the Landfall neighborhood. It is zoned for the New Hanover School District, specifically Wrightsville Beach Elementary, Laney High and Noble Middle Schools. The quiet neighborhood also includes a basketball court, club house, exercise room and swimming pool. Ultimately, this home is simply perfect for a couple or small family. Each room is spacious, offering a tremendous amount of room for making new memories. 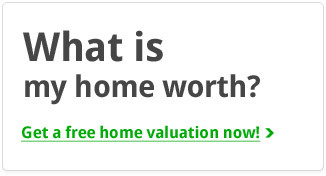 This is not a home to pass up.